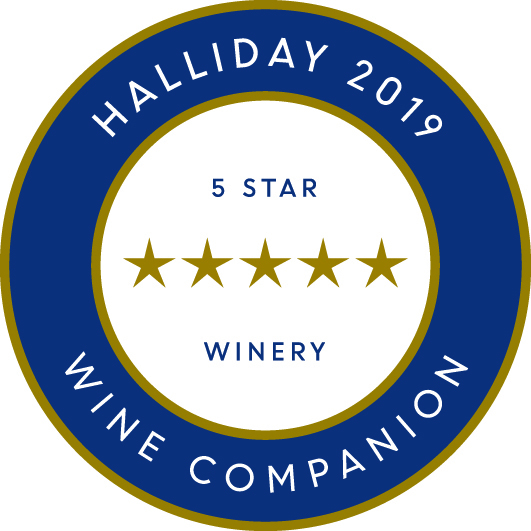 Hayes Family Wines is once again very excited to announce our recent success in the 2019 James Halliday Wine Companion. 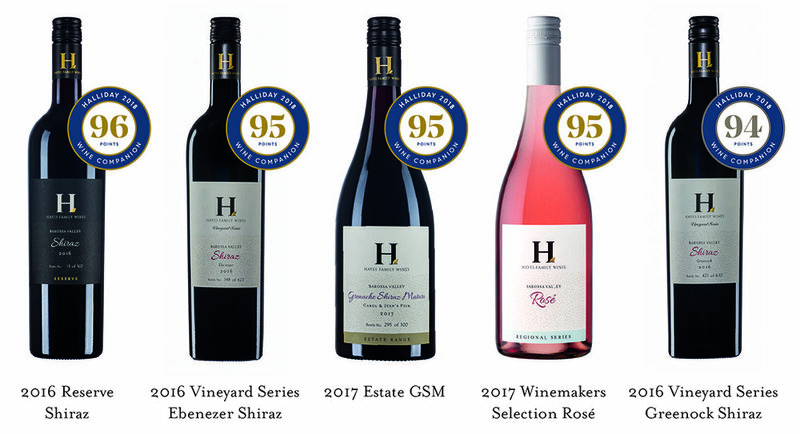 This year, we received consistent strong ratings across all the wines we submitted with 5 wines scoring 94 points or higher. We also received the prestigious five-star winery rating (which is defined as ‘Outstanding winery regularly producing wines of exemplary quality and typicity'). The 2019 Edition of James Halliday’s definitive guide to Australian wine remains the must-have item for wine lovers. 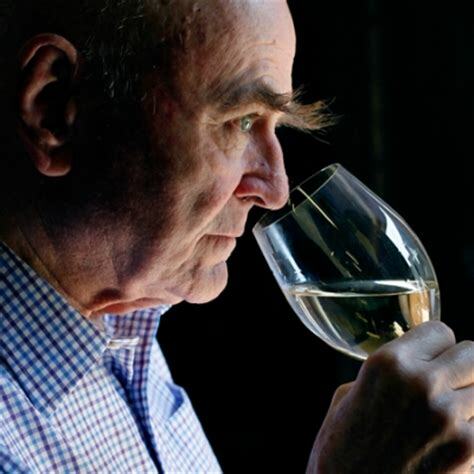 James Halliday is one of the world’s leading authorities on Australian wine; matching intelligent and honest reviews with unparalleled knowledge of, and passion for, the wine industry. The ratings and tasting notes for select individual wines are listed below. Grown on a small section of vineyard at Ebenezer. It spent 20 months in a single French barrique. 300 bottles only. It not only has depth it has spread. We're looking at boysenberry and blackberry, plum and toast, with wood smoke and clove characters wafting through. It's both pretty and profound, but the way both tannin and flavour unfurl through the back half of the wine is the real cause for excitement. Single vineyard, 100% new French oak, 50 dozen. The oak is clear and obvious but the fruit is right up to the task. Smoked cedar wood and meaty spice notes ripple through pure, ripe plum, clove and blackberry. For all its richness it feels manicured and controlled. It exudes class. Resiny vanilla characters open the batting but a sure-footed burst of purple berried flavour soon takes the strike. This is very young and needs time to settle but the underlying quality is certain. It's fresh, it's intense, it's perfumed and it's slipped with superfine tannin. There's no shortage of length either. Old vine grenache, shiraz and mataro from Stone Well. All picked into a single bin; 300 bottles (only) were produced. It's a gorgeous mid-weight wine, svelte, ripe, flowing and fine, weight here, finesse there, length to seal the deal. Old vine grenache, hand-picked, destemmed, open-fermented in a used French hogshead, 28 days on skins, matured for 3 months, 25 dozen made. Fragrant rose petal aromas, backed by spice, introduce a high quality rose. Bone dry, bright and fresh, with small red berry flavours and a lingering aftertaste. Impossible to find any chink in the armour of perfection. Shiraz from the Ebenezer and Greenock districts. It spent 20 months in new and second use French oak. 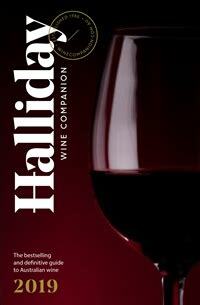 It's a thick, syrupy red with plum, blackberry and vanilla cream characters swooshing through the palate. This is the archetypal 'smooth red', the skin of oak as important as the body of fruit. From old vines in the northern Barossa, hand-picked and sorted, destemmed, fermented in a single 685l ceramic egg before spending 90 days on skins, matured for a further 6 months in the egg, 75 dozen made. Light, clear crimson-magenta; fresh and lively, with twin cords of juicy red fruits and savoury/earthy fine-grained tannins. I think it's at its best now or soonish, although its balance will keep it in good stead for some years yet.